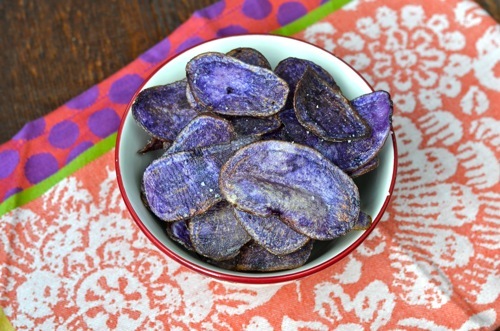 The perfect comfort food treat- homemade potato chips – make it interesting by using different varieties of potatoes, I tried purple fingerling potatoes and just loved the deep violet color. 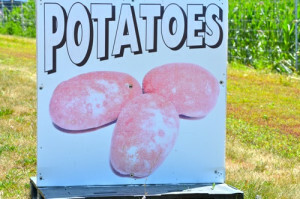 The skin is smooth and edible so no need to peel. This is perfect along side your favorite champagne, wine or well with almost anything. From by the bay wishing you vivid homemade food memories! Pour oil into 4-quart saucepan about 3 inches deep. Use a thermometer and heat oil to 375º F. Scrub potatoes, remove deep eyes and blemishes from skin. Slice potatoes thinly, about 1/16-inch using a mandoline (manual slicer) . Place slices into a large bowl of ice water covering potatoes and let soak for 30 minutes. Drain water from potatoes and repeat placing potato slices in another bowl of ice water for 30 more minutes. Remove excess water by processing in salad spinner and then blot with paper towels to prevent spattering while frying. Line two baking sheets with paper towels. Deep fry potatoes in 2 to 3 batches, stirring potatoes occasionally, until light golden brown, about 3 to 5 minutes. Drain on paper towels. Sprinkle hot chips with sea salt to taste; toss to coat evenly. 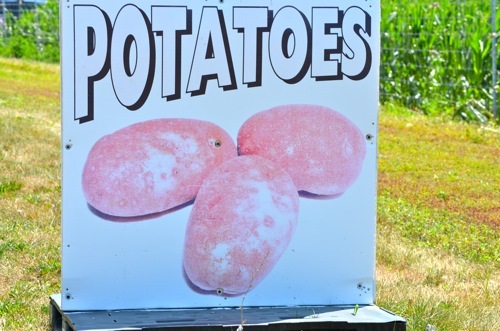 Repeat with remaining potatoes. Before serving you can reheat the chips on an unlined baking sheet in a single layer in a 350 degree oven for 5 minutes. 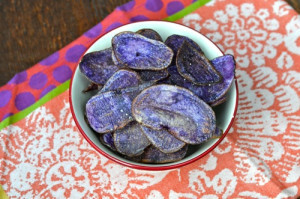 This entry was posted in appetizer and tagged cocktail party recipes, fall foods, homemade potato chips, potato recipes, purple fingerling on October 14, 2015 by entertainingbythebay. 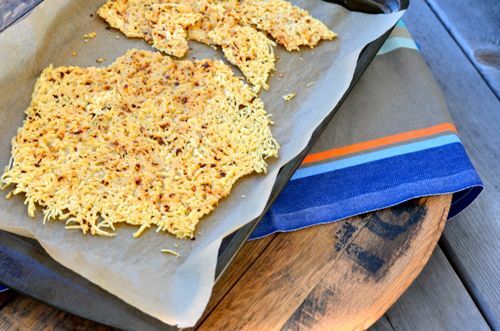 The perfect cocktail or wine companion are these chili parmesan crisps. 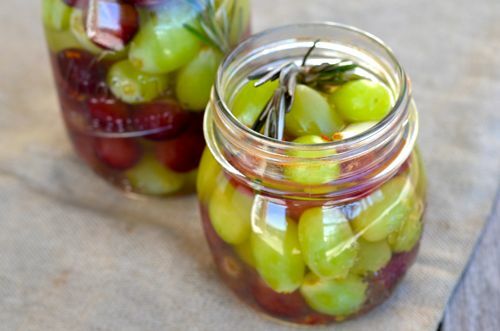 Easy to make and delicious to eat, you’ll discover a new food addiction! If you don’t like chili, you can replace the red chili flakes with one of these options such as crushed black pepper, fennel seeds, minced rosemary or thyme. These crisps also make a great snack for on the go. Try them out this weekend! From by the bay wishing you, crispy food memories. 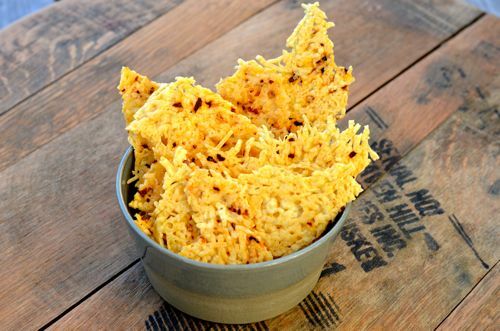 This entry was posted in appetizer and tagged chili parmesan crisps, cocktail party recipes, crisp recipes, entertaining recipes, parmesan recipes, red chili on January 22, 2015 by entertainingbythebay. Here’s a couple of my favorite party recipes , easy to use for New Year’s Eve or any party! From my the bay wishing you Happy New Year’s Eve memories! Preheat oven to 400 degrees F. Cut the bacon slices in half with a scissor. Cut the provolone cheese into 24 small sticks approximately 1” x 1 ¼”. Place cheese into the date. Wrap date with a ½ slice of bacon and place on a parchment lined baking sheet. Bake for 15 minutes and turn the dates over and bake for 15 more minutes until the bacon is crispy. Cool for 10 minutes before serving. You can make these with other sharp cheeses such as Manchego, Parmesan or Soft Gorgonzola. Preheat oven to 375 degrees F. Line baking sheet with aluminum foil. 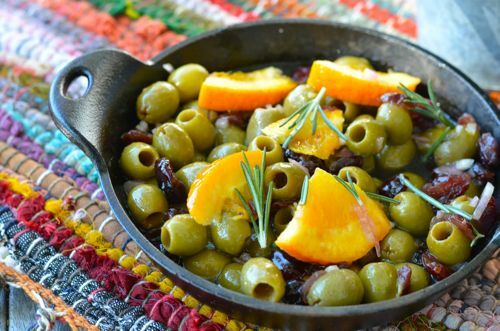 Heat olive oil in pan add curry powder, salt, cayenne pepper and cook until fragrant – approximately 1 min. 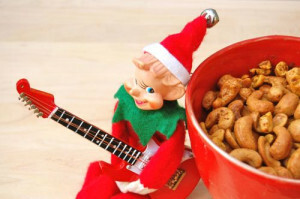 Add cashews and coat nuts for one to two minutes. Remove from heat and place on baking sheet in one layer. Bake for 12-15 minutes, stirring once. Remove from oven, sprinkle with additional sea salt. Serve warm or at room temperature. Mix all ingredients in a bowl and chill until ready to use. Serve with shrimp, crab or lobster. This entry was posted in appetizer and tagged bacon recipes, cocktail party recipes, cocktail sauce, date recipes, marinated, New's Year Easy Party Snacks, olive recipes, pickle, roasted nuts, rosemary recipe on December 30, 2014 by entertainingbythebay. I recently rediscovered the Bloody Mary at brunch a few weeks ago. The reason I abandoned this wonderful drink was due to all the poor tasting versions I had over the the years. You can only drink watered down tomato juice with a splash of vodka so many times before giving up. The Bloody Mary I drank a few weeks ago was something completely different. 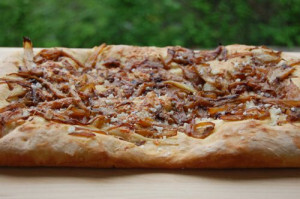 It had the best quaility ingredients and as we know that can make all the difference!! So I set out on the happy task of making my own bloody mary mix and then to make it extra special I added a candied strip of bacon to stir the cocktail. The mix is peppery with from the fresh horseradish, with some heat from the cayenne and a freshness thanks to all that lemon juice. Make sure the Bloody Mary is icy cold to really enjoy all the flavors. 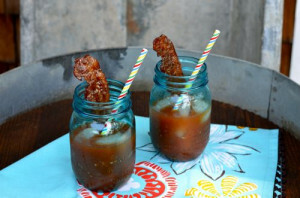 Dipping that sweet crispy candied bacon into the cold spicy Bloody Mary and taking a bite really is heaven! I suggest a pitcher for your next lazy weekend!! From by the bay, wishing you Bloody Mary food memories and don’t forget the bacon! Take 3 parts bloody mary mix to 1 part vodka. Mix well. Serve chilled or over ice. Place a slice of candied bacon into each bloody mary just as you serve. This entry was posted in beverages and tagged alcoholic beverages, bloody mary mix, bloody mary recipe, candied bacon recipe, cocktail party recipes, cocktail recipes, tomato recipes, vodka recipes on June 26, 2014 by entertainingbythebay. In the height of summer, cucumbers abound. Here is a perfect summer side dish for those sultry summer nights. The cucumbers make a crisp, cool base for this salsa. It’s great to serve with fish, chicken or with some grilled vegetable kebabs. Mix all ingredients in a bowl and place in a refrigerator for at least two hours before serving. Note: You can also use regular cucumbers, but remove the seeds before chopping. It’s easiest if after you peel the cucumber slice length wise in half , take a spoon and scoop out the seeds.You might want to add a little more sugar to taste, sometimes regular cucumbers are little more bitter. 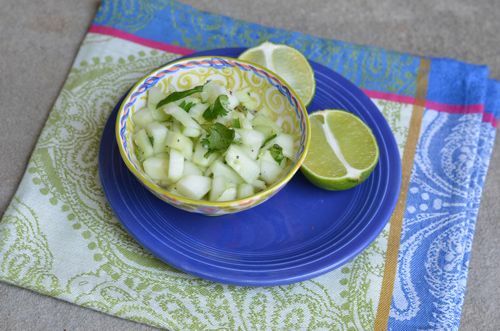 This entry was posted in appetizer and tagged cocktail party recipes, cucumber recipes, lime recipes, party foods, salsa recipes, summer foods, summer recipes on May 25, 2014 by entertainingbythebay. I was wandering through the Food Hall in Grand Central Terminal and happened upon these beautifully packaged and very addictive tasting peanuts! They are from ” The Redhead” Restaurant in Manhattan http://theredheadnyc.com/. 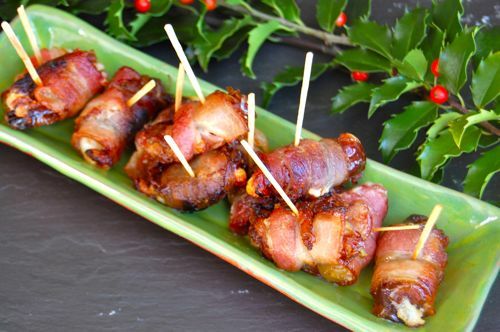 They are without a doubt the perfect combination of sweet and salty, and then you add bacon and well this is one perfected recipe. Fortuantely, it seems as if the recipe was shared with Food and Wine and Meg Grace, who I think is a fantastic contributor. Now you can head to Murray’s Cheese Shop in Grand Central and buy these tasty little morsels or you can make them just as easily. I suggest using a great quality thick cut bacon – such as one using bershire pork and if your tastes lean to the spicy side like mine do, I increased the about of Old Bay Seasoning from 3/4 teaspoon to 1 teaspoon. The menu at “The Redhead” reads ” because everything is better with bacon” and isn’t that so true! From by the bay wishing you tasty food memories, with bacon please! Preheat oven to 325 degree F. In a medium skillet , cook the bacon over modrate heat until crisp. Transfer to paper towels to drain and cool. Finely, chop the bacon into small pieces. In a medium bowl mix together the thyme, fine sea salt, Old Bay, cayenne and dry mustard. Add the peanuts, maple syrup and bacon and toss until the peanuts are evenly coated. Scrape the nuts onto a parchment paper lined baking sheet and roast for about 30 minutes, stirring at least once, until the maple syrup has thickened. Remove from oven and sprinkle with coarse sea salt. Let peanuts cool completely, stirring frequently to break up any large clumps. Transfer the peanuts to a glass jar or a bowl and serve. 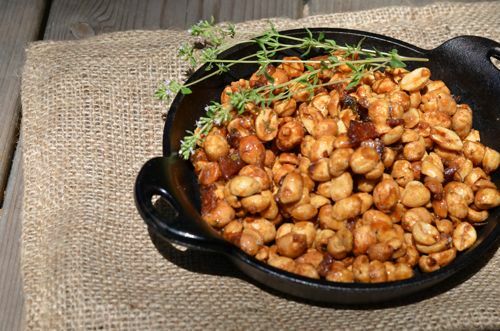 Peanuts will last 5 days when stored in an airtight container – but these are SO GOOD, it’s not likely to last! This entry was posted in appetizer and tagged cocktail party recipes, holiday food, maple recipes, Meg Grace, nut recipes, old bay recipes, party foods, peanut recipes, The Redhead NYC on May 25, 2014 by entertainingbythebay. One of my guilty pleasures as evening approaches here by the bay is watching the glorious sunsets with a glass of chilled white wine and some little nibble along with it. 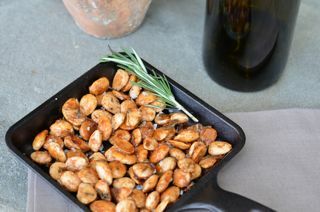 These spicy maple roasted marcona almonds are the perfect pairing to a glass of wine. Each bit captures the perfect mix of being savory and sweet with an under note of heat. The best part is just how simple these cocktail nuts are to make. Enjoy! From by the bay, wishing you savory and sweet food memories! Preheat oven to 350 degrees F. Line a baking sheet with parchment paper. In a bowl toss all ingredients except the salt. Turn onto the lined baking sheet, spreading into a single layer. Bake nuts for about 20 minutes, until the nuts are golden and bubbling. Sprinkle with the sea salt and let cool for 20 minutes, before breaking about. Serve immediately or store in an air tight container for up to one week. Note: if you can’t find marcona almonds this will also work with regular dry roasted almonds or actually any dry roasted nuts that you prefer. This entry was posted in appetizer and tagged almond recipes, cocktail party recipes, entertaining recipes, Fall Food, fall recipes, maple recipes, marcona almonds, rosemary recipes, smoked paprika recipes, spicy recipes on May 25, 2014 by entertainingbythebay. I love movies and like people all over the world, I’ll be watching the Academy Awards to see who will be walking on to the stage to accept each award. It’s fun television and although I might be boring and watching those awards home in my pajamas, I definitely like to make the evening a little bit of an event. I like to serve some champagne while watching and indulge some bit size food, including the dessert. For this year, I’m planning on making these mini peanut butter cups. 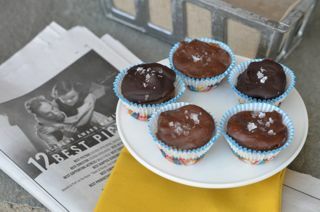 They are decadently delicious and yet easy to make. Now, let’s get down to business , which film is winning Best Picture?? From by the bay, wishing you starry food memories! 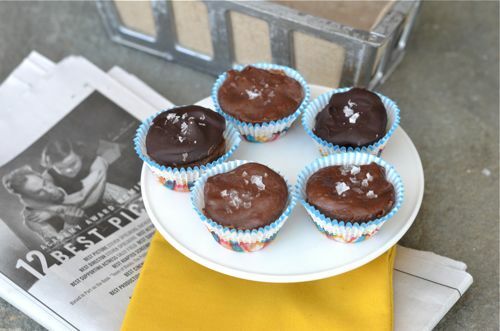 This entry was posted in candy, desserts and tagged candy recipes, chocolate recipes, cocktail party recipes, entertaining recipes, peanut butter recipes, small bite recipes on May 25, 2014 by entertainingbythebay. Well, we are well into the holidays season and still a few parties to go from now until New Year’s. 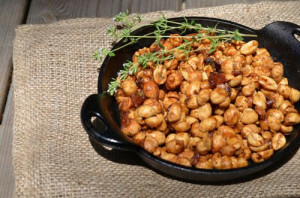 I thought I would share my all time favorite crowd pleasing appetizer recipe . Variations of this recipe abound but if you have never tried it , you definitely should. It’s easy to make and assemble in advance for a party, which is a plus in book for any party recipe. 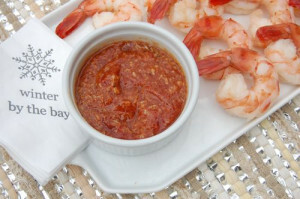 From by the bay wishing you happy holiday food memories! This entry was posted in appetizer and tagged bacon recipes, cocktail party recipes, date recipes, holiday food, holiday recipes, provolone cheese recipes, winter foods, winter recipes on May 24, 2014 by entertainingbythebay.